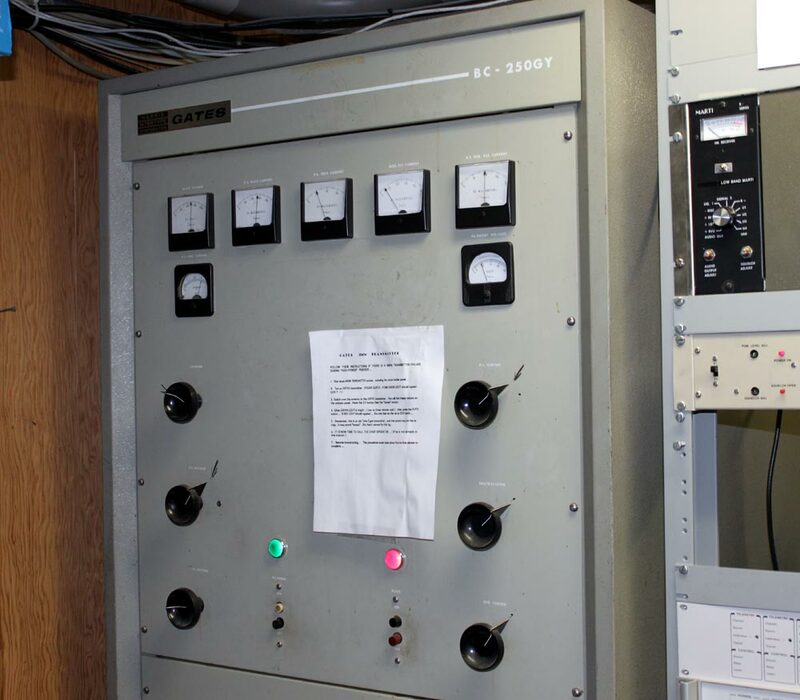 This transmitter is in service at WSBS, Great Barrington, MA as a standby. It was new in January of 1975. This was running into the dummy load for testing, which we try to do periodically. The audio section is a pair of 8008’s 810’s running in parallel. This goes through a modulation transformer to the RF section. The RF section consists of another pair of 8008’s 810’s running a parallel. The plate voltage for these tubes is 1,250 VDC which is fairly tame, all things considered. The transmitter is dirt simple 250 watt carrier power, 125% positive peak capable. It is not the most efficient unit under the sun but it can still be repaired with off the self parts. 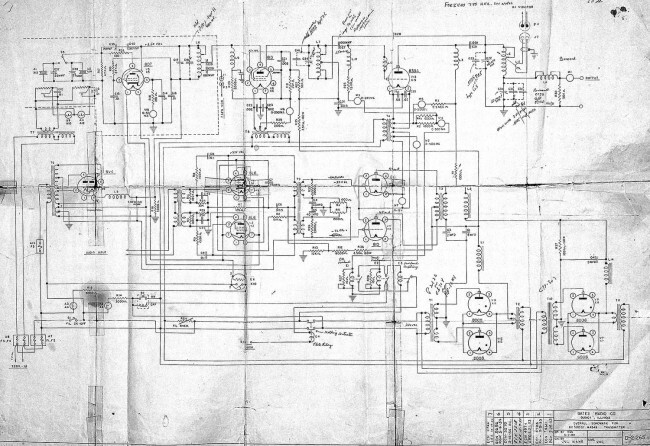 This is a somewhat faded schematic. The schematic shows a single 833A as the final, however, this particular transmitter has a pair of 810’s for the final, as shown in the above picture. Ham radio operators love these things as they are easy to convert to 160 or 80 meters for AM phone use. The bigger brother to this unit is the Gates BC1G, which is also pretty simple unit using 833A tubes in parallel with 3,500 VDC plate voltage. Bill, you are correct. That’s what I get for glancing at the parts list and not looking at the schematic. What is surprising to me is that they were still using mercury vapor rectifiers in 1975. I think by that time they had developed solid state rectifiers for this voltage and current. 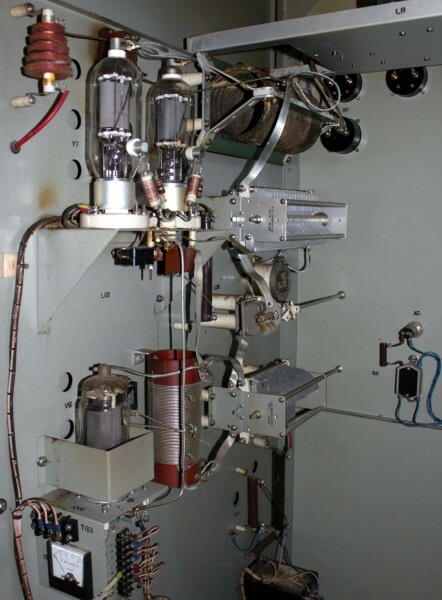 How far out does a 250 watt AM broadcast transmitter like this one reach? Pretty neat to see old radio broadcast gear still going! Dewey, like all things, it depends. The variables are dial position; lower frequencies travel further due to better ground conductivity. How much co-channel interference, especially at night and how high is the ambient electrical noise level in the reception area. This station is on 860 KHz in a fairly rural environment, thus I’d estimate the listenable range to be a 7-10 mile radius from the tower at 250 watts. I am C.E. 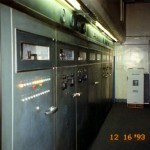 of an A.M. station that still uses the BC250GY as its main on air transmitter.it was bought new in 1970 and is the newer version transmitter with the square cabinet.it has the newer designed Oscillator unit that uses two 12BY7A Tubes instead of the 807 tube which was used in the older BC250GY model.the orginal factory schematic which came with our transmitter has long disappeared from the transmitter site.I replaced it with one aquired from Commercial Radio Company of Canvendish,Vermont,years ago.the replacement schematic shows the 807 style oscillator unit and that portion of the schematic is worthless to me.does anyone know where I can get a BC250GY schematic with the 12BY7A Oscillator shown.any help would be great.BTW I have tried Commercial Radio Company with no luck.Thanks for reading. Larry, I think that oscillator unit is the same one used on a BC1T, G or H, (M5422) you may want to look for those schematics, as they are usually available on the web somewhere. Those oscillators had 2 12BY7A tubes. I don’t know when the next time I will be out at this site, but I will look in the drawer and see what is there. Suprisingly, at 250 watts, it used to really get out well. Thanks to 860 being a relatively open frequency in the Northeast (Thanks, Toronto), my father used to listen to WSBS while in college at Western New England College in Springfield (35 miles away, in the car.). I can remember as a young kid in the 80’s coming back from Carlisle, PA in our folks Oldsmobile, and my father tuning it in outside of Scranton, PA. I think it was 1992 when they kicked it up to 2.7kW, and at that level, the signal has building penetration in the Springfield area. (I could hear it, easily, with a standard indoor antenna and tuner at my apartment in Westfield, which was a brick building, 20 miles away.). They used to stay on the air at night time, with 3.9 watts of power, until midnight. I grew up about a mile from the transmitter just outside of downtown Great Barrington, and at night, even with them on at 3.9 watts, I could “tune in” the Toronto station without much issue. I know a certain “engineer” who’s since retired from the station (not Paul), whom did a “DX test” one night running 2.7kW while Toronto was off the air for site maintenance, and getting QSLs across New York, and even had a letter from Wisconsin. Of course the downside to them going to 2.7KW, was the issues all the businesses on Route 7 and residents up on North Plain Road had with phone line noise. Still a neat little station, though, it’s not quite what it was many years ago. It is surprising how well those low power AM stations used to get out before the all pervasive electrical noise we have today. I can remember rocking out to WHVW, (950 khz, 500 watts daytime only, 20 miles away) right up until sunset. This was in the early 70’s. My favorite DX station was WBT in Charlotte, NC. It came in regularly about 1-2 hours after sunset. This model has 810 tubes in it. Generally a good simple transmitter. Reliable as they got. Babysat one in Oak Ridge, TN which was our 1290 night transmitter at WATO. Your example was a very late model, the last built had Harris nameplates. Arguably the longest continuously produced AM transmitter ever made. Made from 1948-1976 roughly. I have one now, we have been using for our main AM transmitter for many years. (WMDH AM 1550, now WLTI AM, New Castle, IN.) It went down for the count on us earlier this week, which lead me to your website while looking for info. The photos are great. What you may not realize is that many times, these transmitters were rebuilt/refurbished with more “modern” sections over the years often when patterns were changed or antennaes replaced, often by factory techs. 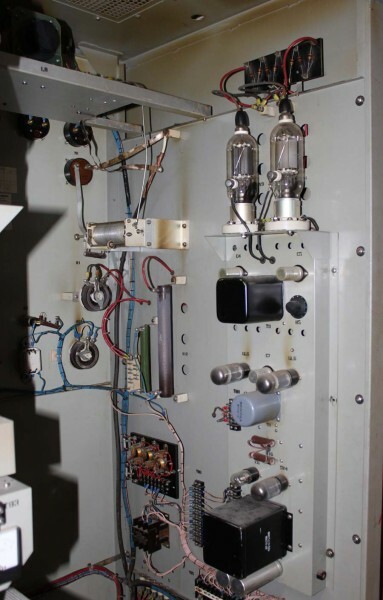 Ours started out life with the single-tube oscillator, but was later “updated” with the 2-tube model. Same for he rectifiers: they started out as the old mercuries, but were updated sometime in the 70’s to the solid state relacement modules. When upgraded, the owner’s manual would then have another print added, and the old one moved to the back of the binder, as each major modification was acommpanied by a new print. The print you have is different from either one I have, the “newest” one shows a very similar set up to the one shown in the pictures. The print seems to be of a very old model. I believe the “m” date on the model/serial plates indicate date of manufacture. Our reads M-3760, which I believe, but cannot confirm, to mean 37th week of 1960. Some of the other documents I have seem to agree with this date, but not all. Thanks for posting this, really great info. 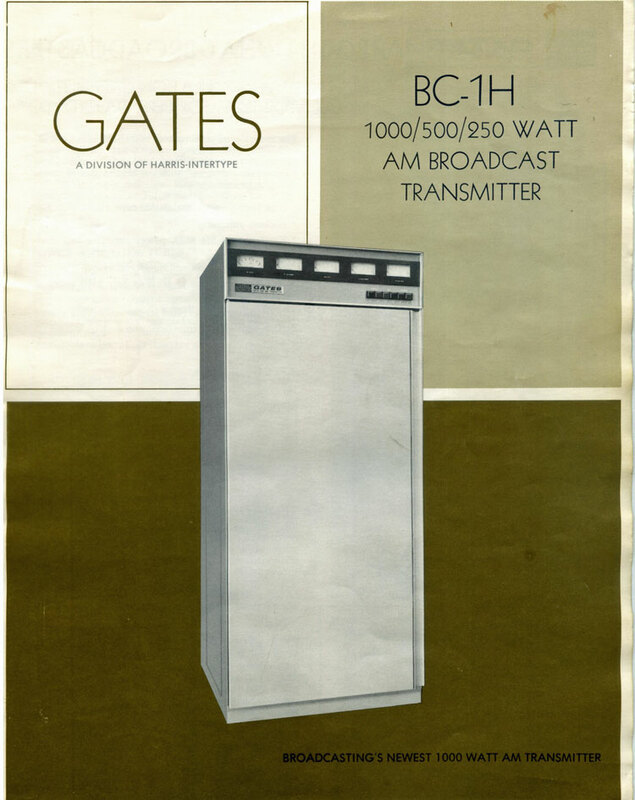 Back 45 years ago I used to maintain a Gates BC250GY and two RCA BTA-10G’ broadcast transmitters. 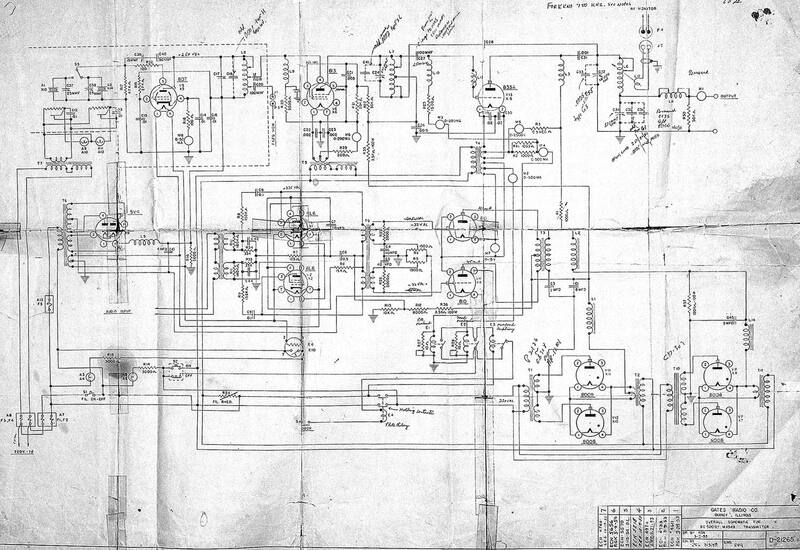 That planted the radio bug in me that led to a career in electrical engineering, which I practice to this day. I really enjoy vintage electronics as it reminds me of simpler times in the past. In my spare time I build amateur radio equipment, the latest was a push-pull class AB2 amplifier for 40 meters using a pair of 813’s. Call letters are VE6ULH. Hello hello. I have two transmitters I’m needing some help with. One is the BC250GY and the other is Gates model M-5245. I have all the original paperwork, owner’s manuals, receipts, schematics, detailed modification paperwork, etc. Problem is I have no idea where to start when it comes to finding out a value for these transmitters or somebody that might be interested in taking them home. Any help would be greatly appreciated. I will leave all my contact info.